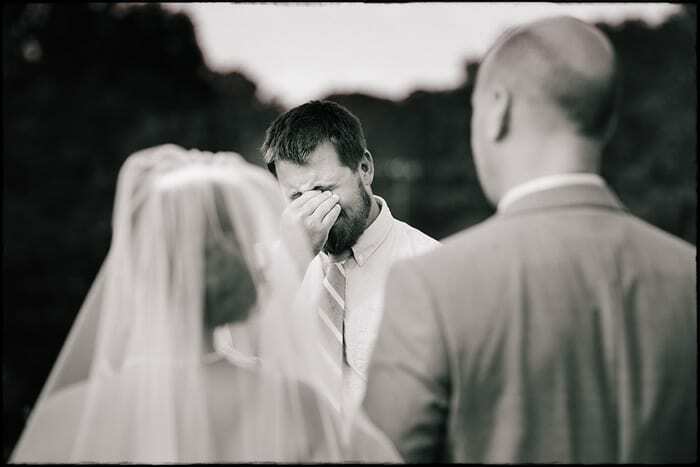 The moment a bride walks down the isle is an intense moment to document. There are so many angles and people to capture. Understandably. one of my favorite people to keep an eye on is the groom. His expression is often priceless. Olivia and Payden were married at King Family Vineyards in Crozet, Virginia and Payden couldn’t keep the emotion from pouring out after he watched Olivia come out and process in his direction. This image says it all.